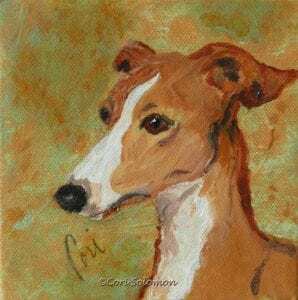 This acrylic painting shows an Italian Greyhound in Profile. The green background has hints of this IG’s red color. This painting is framed.